The kids have just gone back to school after winter break, and it’s a nice time to get some school supplies for teachers to help them last the rest of the year. I got a great deal on some PaperMate pens at Staples, and I stocked up to give some to the kids’ teachers. Since it’s also a new year, and everyone’s trying to get more organized, I thought I’d make a DIY pencil holder to hold all of the pens. These are really easy to make. 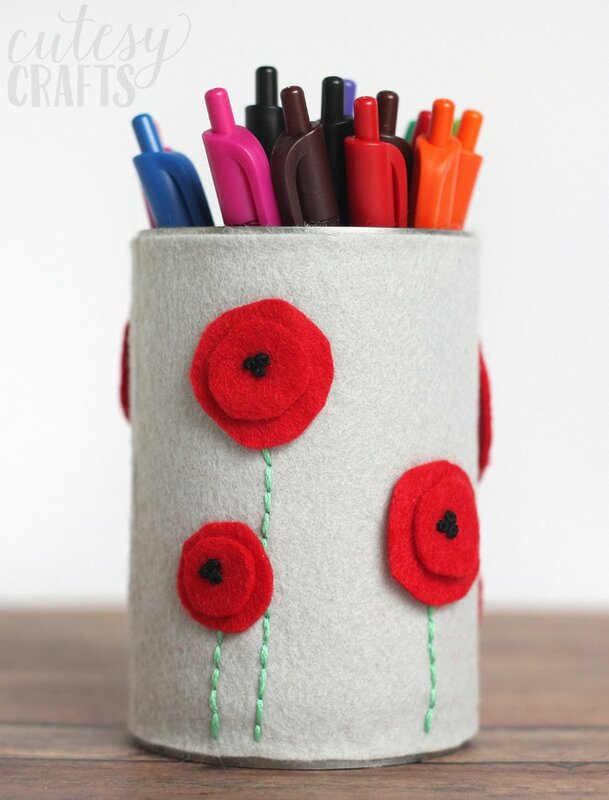 I just stitched some felt poppies to another piece of felt, and glued it on to a tin can. 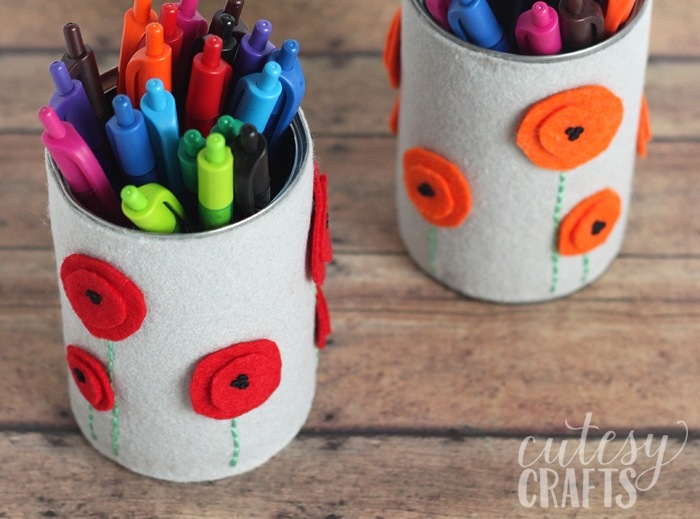 Super inexpensive, but really cute! 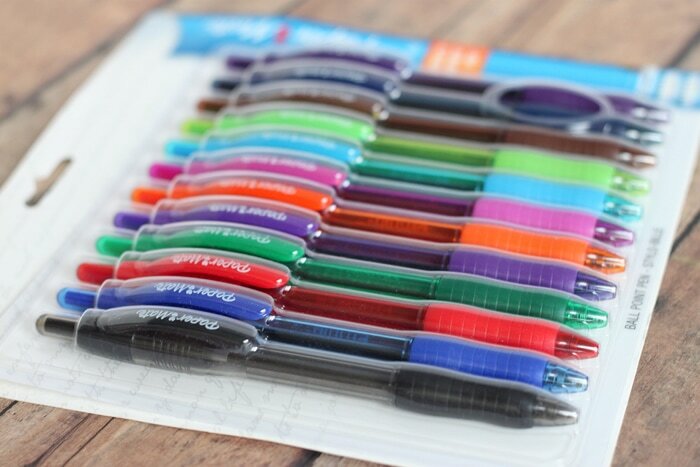 At Staples, for the entire week for January 17th, you can save 40% off all regular priced PaperMate products (while supplies last). 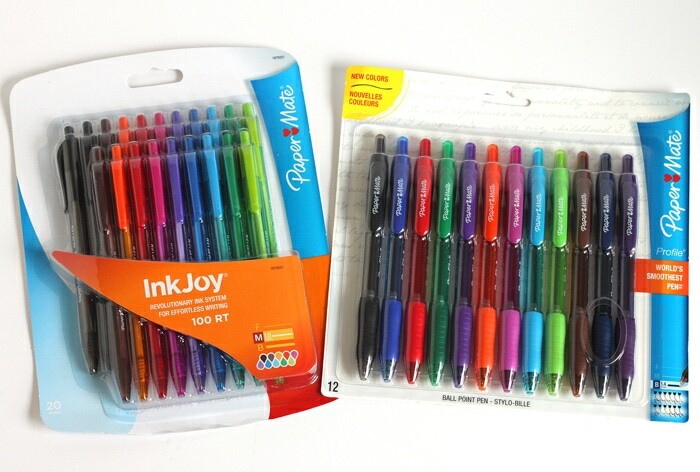 I really love all of the pretty colors that these PaperMate pens come in. They will be perfect for correcting papers! First cut your gray felt into a 4 1/4 x 9 1/4 inch rectangle. Measure your can just to be sure. I was using a can from some fruit, so yours might be a different size. 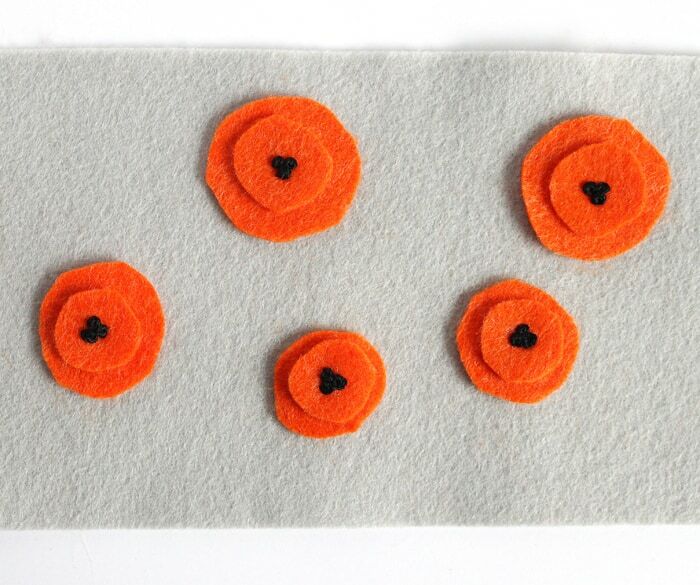 Cut various sizes of circles in orange or red felt for the poppies. You will need a bigger circle and a smaller circle for each flower. You don’t want them to be perfect, so don’t worry about having straight cut lines or having uniform sizes. 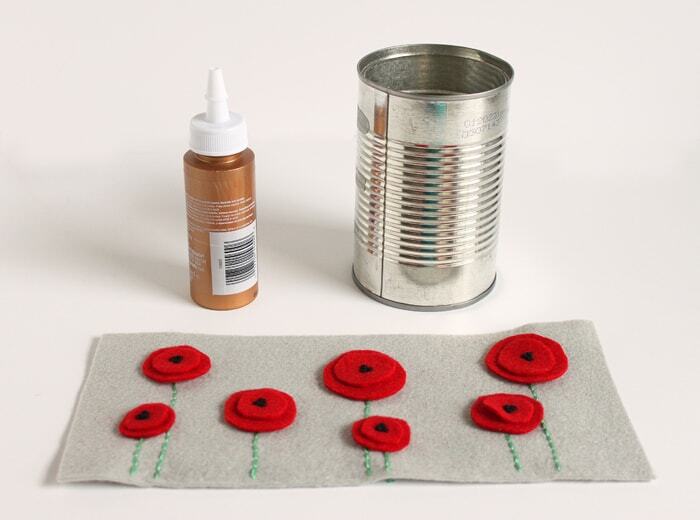 Use a full strand of embroidery floss to stitch three french knots in the middle of each poppy. 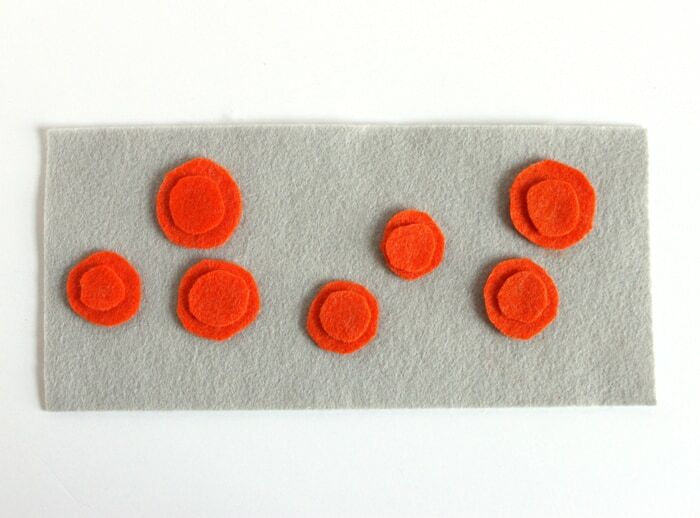 Sew through both circles and the gray felt to attach the flowers. 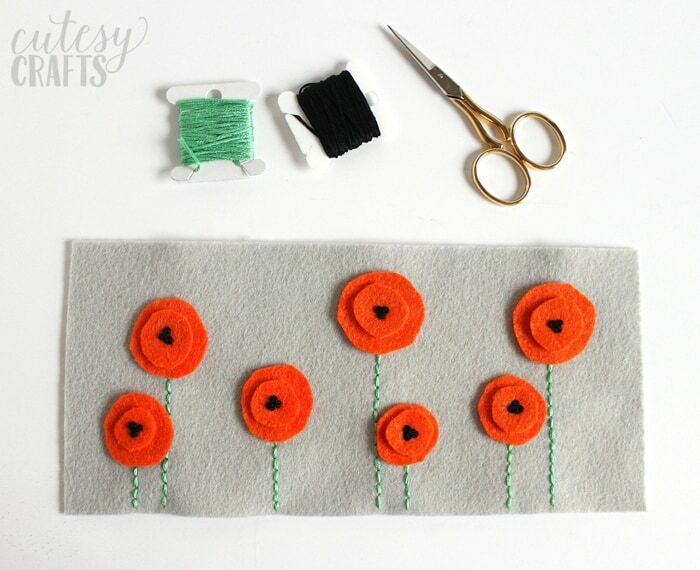 Use a full strand of embroidery floss to make stems on the flowers by sewing a backstitch. Peel the label off a tin can and wash it thoroughly. Don’t worry if there is glue residue on the outside, we’ll be covering that up. 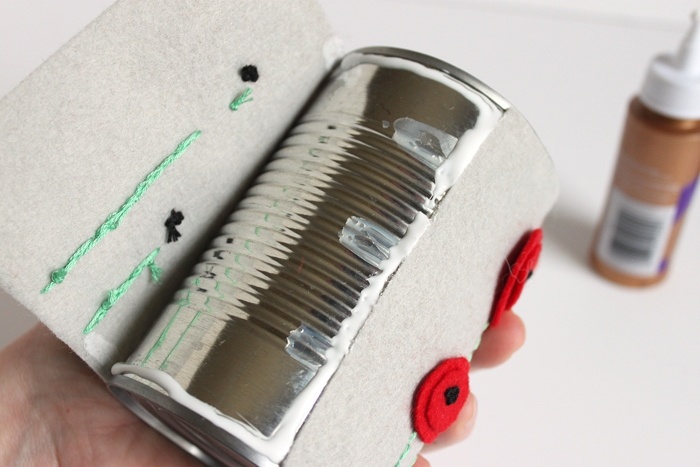 Start with one short end of the gray felt and glue it to the can. Press it down firmly until the tacky glue starts to adhere. You can also use hot glue, but I like the way the tacky glue dries flat. 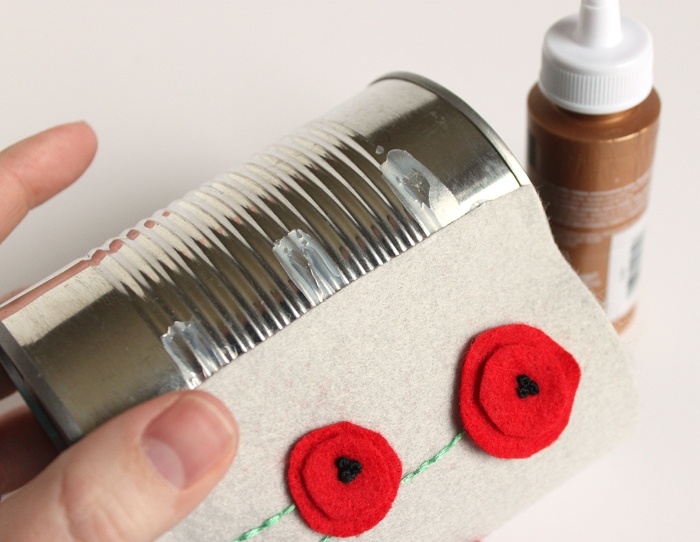 Squeeze a bead of glue around the top and bottom of the can and adhere the rest of the felt. Keep pressing down on the spots that you glued the felt down until it sticks. Let the glue dry, and you’re done! 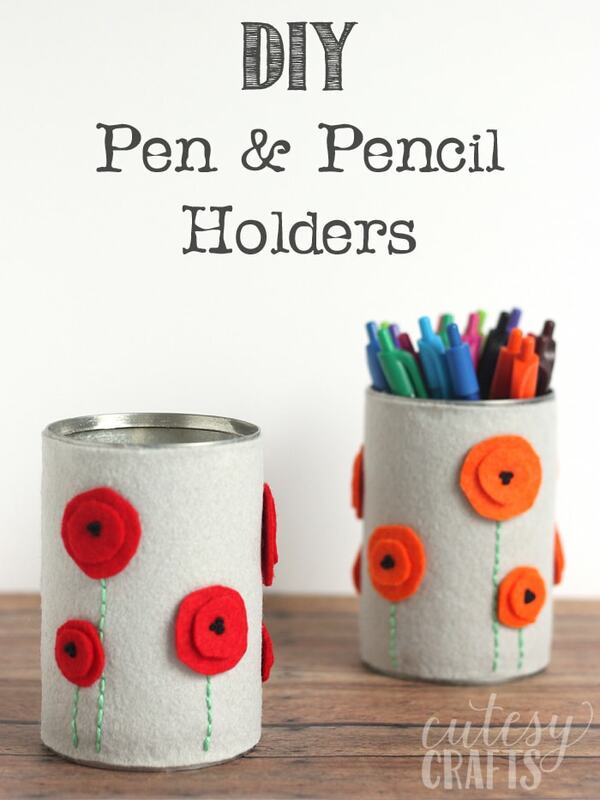 Fill the can up with some PaperMate pens, and you’ve got a pretty way give a gift of school supplies for teachers. Be sure to check out Staples on Facebook, Twitter, Instagram, Pinterest and Google+. Also keep up with the latest from PaperMate on Facebook and Twitter. 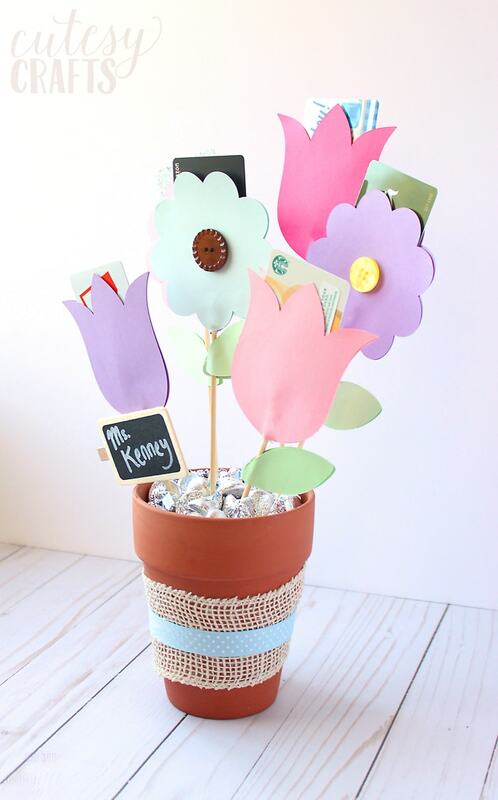 Also take a look at this gift card bouquet tutorial.